The Comprehensive Standard RCA Plug to Jack Extension Audio Cable (10’) is a high-quality molded cable that offers flexibility and dependability. It is designed to ensure good sound quality, providing superior value along with quality and reliability. 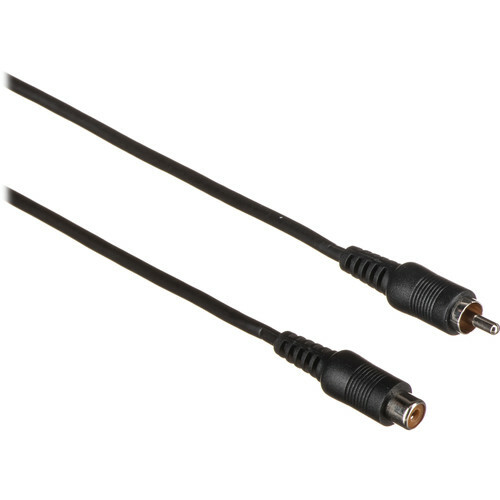 Box Dimensions (LxWxH) 8.0 x 5.0 x 0.5"
Standard RCA Plug to Jack Extension Audio Cable (10') is rated 5.0 out of 5 by 2. Rated 5 out of 5 by Dimetric from Performs as needed We use this with a Swann security system. This item works excellently in conveying audio from the cameras to the system. We have used this cable with two different brands of 100' audio cables, and the quality is good, so I conclude that this cable is excellent for audio use.